Bhairavi is a wonderful morning raga and also generally played at the end of a concert. With many different variations, note combinations can be without limit. Here we present some common forms of Raga Bhairavi that you can dive into with many lessons worth of material. 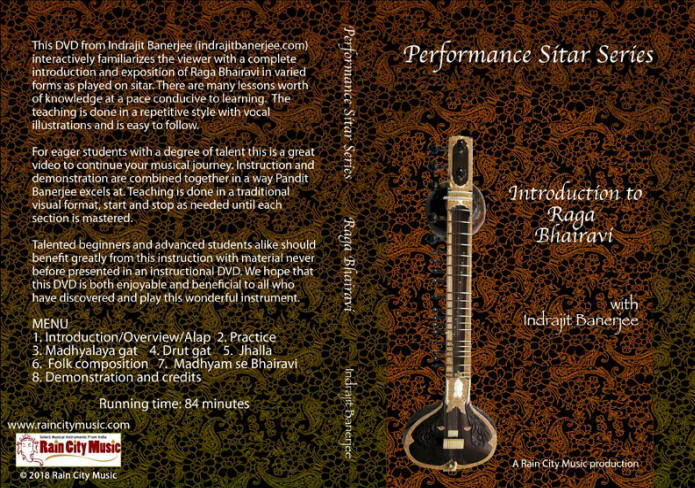 While by no means complete, this DVD provides an excellent overview of learning the raga in an approach that will allow you to incorporate your own ideas as you learn the compositions.